It is the middle of the night. You get a phone call that your loved one has been arrested. You find out that their bail is set at an amount you cannot afford. In this moment, you might feel panicked. What do you do? Perhaps you are the one trying to post bail for yourself and you quickly realize that your bank account cannot support this endeavor. 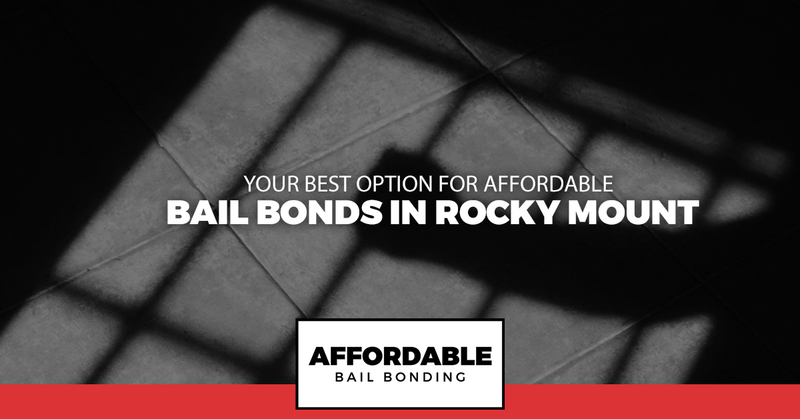 When you need affordable bail bonds in Rocky Mount, our team is here to help. We will assist you in finding the best way possible to afford bail. Whether you need assistance with financing or you just need help with the bail process, we will work with you. Check out these top tips from our bail bonds team on how you can access affordable bail options. If you have a good support system, now is the time to lean on them. Give your family or friends a call and ask for help. You might feel ashamed of your arrest, but don’t let that hold you back from seeking out assistance from those who love you. If you have good family and friends, they will care more about helping you get home than worrying about what led to your arrest. Explain to your family or friends exactly what you need to pay to get out of jail. If your bail amount is extremely low, your loved ones might be able to afford it on their own. In most cases, though, the bail amount will be too high for them to afford. In this case, ask them to get ahold of a bail bondsman for you, which leads us to our next tip. The good news is that even if your bail amount is set at $1,000, that doesn’t mean you have to pay that full amount to be let out of jail. This is where bail bondsmen come into play. A bail bond company will allow you to simply pay a percentage of the total bail amount owed. This percentage, generally around 10 percent, is a non-refundable fee that you pay in return for your release. The bail bond company will then post the total bail amount needed on your behalf. By working with a bail bondsman, you can make it possible to post bail even if your funds are low. While a bail bondsman can help make bail more affordable, the fee you have to pay can still be substantial. For example, if your bail was set at $10,000, your bail bond’s fee might still be $1,000. If you are struggling to afford this, consider pooling funds together. Ask family and friends to chip in and work on a way you can pay them back later. If you don’t have family or friends who can help out and you cannot afford the bail bond fees, don’t hesitate to ask about financing options. Here at Affordable Bail Bonding, we offer an array of financing options depending on your needs and your situation. A good bail bond company will work with you to help ensure there is a way you can afford bail. In many cases, collateral is used to help cover the costs. A cosigner can also help secure a bail bond when funding is an issue. Rather than giving up, always take the time to ask about alternate methods for affording a bail bond. If you are looking for affordable bail bonds in Rocky Mount, our team is here to help. We work around the clock to ensure everyone in our community has access to affordable bail options. When choosing a bail bond company, make sure to choose one that prioritizes your needs and works hard for your release. While an arrest is an unfortunate situation, it doesn’t have to be a stressful or harrowing experience. With the right bail team on your side, you can quickly be released from jail even when money is tight. After all, you deserve to enjoy your freedom while you await trial. Need fast and affordable bail? Contact us today for help.